A particular red item was overlooked by many when Olympic merchandise first went on sale. Then along comes the power of media. NBC brought attention to the now famous red mittens when the ‘Today Show’ anchors and people in the background shots were seen wearing and taking about them. All of the sudden this small item became “the” symbol of the 2010 Winter Games. Sold for $10, you can now find the mittens on eBay for more than $60 a pair! 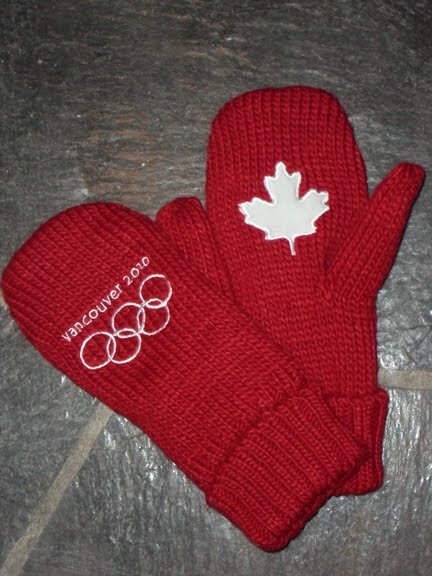 When I first arrived in Vancouver, one of my missions was to buy a pair of the mittens. I tried on two different days over the course of a week based on insight from a sales clerk to buy the coveted red mittens at the Olympic Store in Whistler Village (because they were the only vendor who sold them) but I was unsuccessful. I then spoke with the store manager who assured me they would have one last lot (300 pairs) for sale the next day. 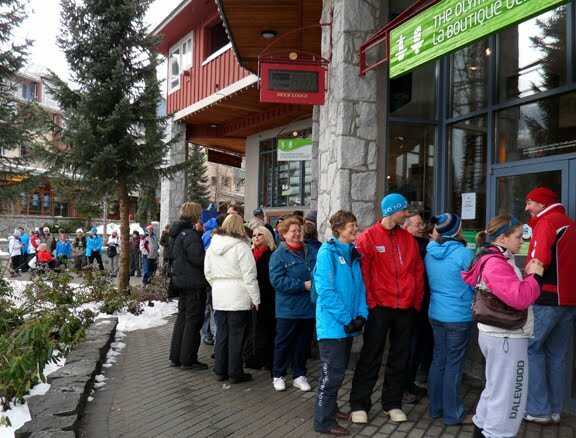 Of course that was my day off, so I drove more than three hours round trip from West Vancouver to Whistler Village very early in the morning and stood in line for 1 hour and 10 minutes. When I arrived at the store I read a sign that said “2 mitts per customer” and I took my place as the ninth person in line. Third time was a charm. I’m now the proud owner of the famous red mitts.